This live ACPE accredited event brought to you by the University of Rhode Island, College of Pharmacy, Office of Continuing Professional Development is available to all pharmacists. Attend the plenary sessions on March 16 & 17 to earn up to 15 live (1.5 ceus) continuing education credits. 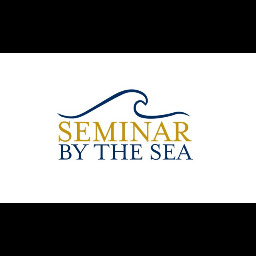 Two pre-conference workshops on March 15 offer additional live credits. Bio: Dr. Nanda is a Program Director of Geriatric Medicine Fellowship Program, Brown Medical School. He came to Brown after completing his one year Fellowship in Geriatric Medicine from St. Louis University School of Medicine followed by two more years of Fellowship in Geriatric Medicine and Clinical Epedemiology from Yale School of Medicine. Bio: Dr. Anne Hume is Professor of Pharmacy at the University of Rhode Island and Adjunct Professor of Family Medicine, Brown University. Her teaching, scholarship and practice includes integrative medicine, geriatrics, family medicine, and interprofessional practice. Dr. Hume has published extensively and is an Associate Editor the integrative medicine section of the APhA Handbook of Nonprescription Drug Therapy. She also writes a monthly column on Integrative Medicine for Pharmacy Today. She, along with Dr. Kelly Orr, is developing a new book on the clinical use of botanicals, along with a co-editor. Dr. Hume has been a faculty member in the Rhode Island Geriatric Education Center (RIGEC) since 1996, focused on interdisciplinary student team training program at Memorial Hospital. Dr. Hume received the URI College of Pharmacy Teacher of the Year award in 2010 and 2014. Bio: Dr. De Groot earned degrees from Smith College (BA, 1978) and the Pritzker School of Medicine at the University of Chicago (MD, 1983). She was trained in internal medicine at New England Medical Center (1986), and then went on to complete additional training in immunoinformatics and vaccine research under Jay Berzofsky at the NIH (1989). Following her fellowship at the NIH, she returned to NEMC for clinical training in infectious disease (1991). She was board certified in Internal Medicine in 1986 and in Infectious Disease in 1992. In 1992, she joined the faculty of the Brown University Medical School, where she opened the TB/HIV Research Laboratory. She designed the EpiMatrix algorithm at Brown University with the assistance of Gabe Meister, Bill Jesdale and Bill Martin. With Bill, she founded EpiVax, Inc. in 1998 and licensed the EpiMatrix technology. 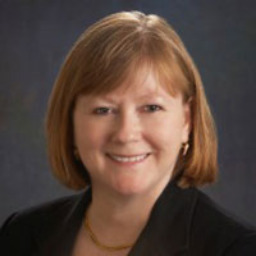 She has been the CEO/CSO and President of EpiVax since 1998. At EpiVax, Dr. De Groot supervises the science and business strategies at EpiVax. Bio: Bethany Spadaro received her degree in pharmacy from the University Of Rhode Island College Of Pharmacy. She is currently working as a clinical pharmacist for Rhode Island Primary Care Physicians Corporation. In addition to being a licensed pharmacist she is a board certified geriatric pharmacist and a board certified diabetes educator. She is a strong advocate for the patients she works with and believes whole heartedly in the role of the pharmacist as a vital part of the care management team. Her professional interests focus on chronic disease state management, transition of care, and improved quality of life for the patient. She practices a collaborative approach across medical disciplinary roles to provide quality and accessible care to the patient. In addition to her professional interests she is a certified fitness instructor and has a black belt in karate. You may even see her running up the face of a mountain. Bio: Dr. Brett Feret graduated from the University of Rhode Island with a Doctorate of Pharmacy in 1998 and then completed a pharmacy practice residency at Hartford Hospital in Hartford, Connecticut. Following work in both managed care and community pharmacy, he took a position at the College of Pharmacy specializing in community pharmacy, where he was responsible for the development of advanced practice experiences in community practice and coordination of the required self care course. As director of experiential education in the College of Pharmacy, Dr. Feret oversees the curriculum and implementation of the introductory and advanced pharmacy practice experiences, including the service learning curriculum. In addition, he coordinates the introductory pharmacy course for the first professional year students. He is also a instructor for the immunization curriculum and continues to teach in the required self care courses. He is also a pharmacy consultant for the Rhode Island Department of Health’s Center for Emergency Preparedness and Response. His current research and practice interests include delivery and assessment of experiential education, pharmacist’s role in emergency preparedness, self care, and immunization delivery. Bio: Dr. Cheston Cunha is an attending in adult infectious diseases at The Miriam Hospital and Rhode Island Hospital. He is Assistant Professor of Medicine at Brown University Alpert School of Medicine. Dr. Cunha obtained his medical degree from the Pennsylvania State University College of Medicine in Hershey, Pennsylvania. 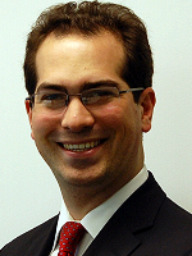 He completed his residency in Internal Medicine at Brown University at the Rhode Island Hospital and Miriam Hospital. He also completed his fellowship in Infectious Disease at Brown University. He serves as co-editor of the books Antibiotic Essentials and Antimicrobial Stewardship: Principles & Practice. He has contributed 33 articles and 42 book chapters to the medical literature. He has received the Dean’s Excellence in Teaching award from the Alpert Medical School of Brown University. Dr. Cunha is currently the Medical Director of the Rhode Island Hospital and Miriam Hospital Antimicrobial Stewardship Program. 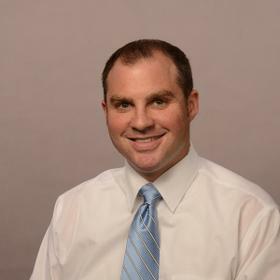 Bio: Chris Degenkolb, PharmD, BCPS is the PGY2 Residency Program Director and a Clinical Pharmacy Specialist at the Roudebush VA Medical Center in Indianapolis, IN. A graduate of Ohio Northern University, he completed his PGY1 and PGY2 Primary Care Residencies at the Huntington VA Medical Center in Huntington, West Virginia. Bio: David Dosa MD, MPH is a geriatrician and health services researcher at Brown University in Providence, Rhode Island. He is also the New York Times bestselling author of “Making Rounds with Oscar: The Extraordinary Gift of an Ordinary Cat.” Born in England, David Dosa received his BA in Biology from The University of Virginia in 1994 and an MD from The George Washington University School of Medicine in 1998. After training in Internal Medicine and Geriatrics at the University of Pittsburgh, David received a Masters in Public Health from that institution in 2003. After completing work at the University of Pittsburgh, David was hired by the Division of Geriatrics at Rhode Island Hospital with an academic appointment through Brown University. David Dosa is currently a practicing physician in Rhode Island with clinical interests in the area of dementia and the appropriate care of the elderly. Besides his office practice, David teaches medical students and residents through Brown University. David Dosa is also the physician representative to the Rhode Island Senate Long Term Care Committee and a board member of the Nursing Home Alliance for Better Long Term Care. Dr. Dosa is a funded researcher with grants from the National Institutes of Aging, the California Health Care Foundation, and the Veteran’s Administration. He jointly conducts his research through Brown University’s Center for Gerontology and the Providence VA Medical Center’s Research Enhancement Award Program. David’s current research interests include nursing home quality improvement, nursing home response to hurricane disasters, nursing home infections, and medication errors in the elderly. His research awards and commendations include a Merck New Investigator Award in 2006 through the American Geriatrics Society. Dr. David Dosa is also a Hartford Foundation Scholar and a recipient of a Career Development Award from the Veteran’s Administration. 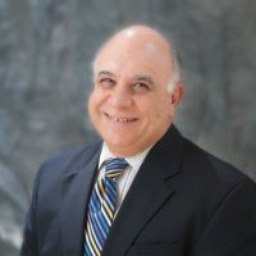 David Dosa is the author of over fifteen peer-reviewed publications and several book chapters, including Harrison’s Principles of Internal Medicine. He is also the author of a New England Journal of Medicine essay about Oscar the Cat that made international headlines in 2007. His book about Oscar has been published in over twenty countries worldwide-making the bestseller list in several of them. David resides with his wife Dionne and their two children, Ethan and Emma, in Rhode Island. Bio: Dea has more than 16 years of experience in the healthcare industry, mostly developing and managing pharmacy benefit programs. He is currently the President and CEO of AscellaHealth, a national PBM with more than 1 million lives. He has been part of the development of PerformRx, a PBM owned by Keystone First Health Plan as well as Future Scripts, an Independence Blue Cross company that was sold to Catamaran/Optum Rx a few years ago. Dea also runs a consulting firm that provides management consulting and managed care strategy and tactical support to pharmaceutical manufactures and payers. Dea holds a PharmD from the University of RI and later completed an MPH from Johns Hopkins University and a post-doc fellowship at Thomas Jefferson University. Dea’s entrepreneurial and business development drive has recently allowed for innovative programs and investments in: -	Vaccines programs at retail pharmacies -	Animal Health Pharmaceuticals -	Healthcare IT -	Consumer driven prescription and OTC ophthalmology services Dea is an extremely driven individual and always working on novel and innovative solutions in healthcare. When he is not partaking in the hustle and bustle he enjoys spending time with his wife and 4-year old son and 2 and half-year old identical twin daughters. Bio: Donna McCarten White is a consultant Addiction Specialist for the Lemuel Shattuck Hospital, a Public Health Hospital for the Commonwealth of Massachusetts. She is the former Chief Operating Officer and Nurse Executive at Worcester State Hospital. In addition, she was the Director of Nurses and the Director of Chemical Dependency Services and the Dual Diagnosis Program at Pembroke Psychiatric Hospital. She is a graduate of Boston City Hospital School of Nursing and earned a BSN from Curry College in 1985. 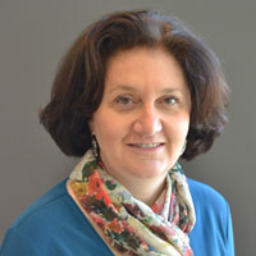 In addition, she completed graduate studies at the University of Massachusetts/Boston, is a licensed drug and alcohol counselor with an additional certification in advanced Drug and Alcohol Counseling, is certified in Chemical Dependency and Addictions Nursing, and is certified by the ANCC as a Clinical Nurse Specialist in Public Health Nursing. Dr. White is the 2006 recipient of the Peer Assistance Award from IntNSA and was recently inducted as a Board Certified Fellow at the American Academy of Experts in Traumatic Stress. In 2007, she was the first recipient of the Fong-Bressler Award for Outstanding Preceptorship in the Graduate Nursing Program for the Massachusetts General Hospital Institute of Health Professions. 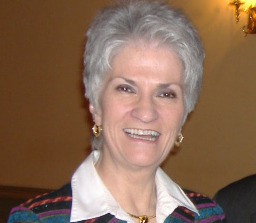 MNA awarded her the Addictions Nursing Award in 2009. In October, 2010, she was recognized by the Commonwealth of Massachusetts with the award of Champion of Public Health. In May, 2011, she was awarded the Nancy Valentine Leadership Award from the New England Chapter of the American Psychiatric Nurses Association and in 2013, she was voted Mentor of the Year by the International Nurses Society on Addiction Nurses. Most recently, in 2014, she was given the Heart of Nursing Award from the University of Massachusetts/Boston Sigma Theta Tau Chapter. Donna is the author of an Addictions Competency Based Program in the Dept of Public Health Hospital where she now consults. She has many publications to her credit and recently co-authored a chapter on Addictions Nursing in a Psychiatric textbook. In addition, she was part of a video production addressing suicide in adolescents in Massachusetts. In 2015, she was inducted as a Fellow in the International Nurses Society on Addictions. She is the recipient of many Community Awards and nominations. Dr. White is the statewide Chairperson of the Massachusetts Nurses Association Addictions Council, and oversees the Peer Assistant Program for nurses seeking help in recovery. She is certified by the Green Cross Foundation as an educator and therapist in Compassion Fatigue concerns and is a specialist in Addictive Disorders, Compassion Fatigue and Vicarious Traumatization in Healthcare Professionals. In addition, She is a member of the International Trauma Specialists Dr. White is a Clinical Instructor for Boston Area Colleges of Nursing…graduate NP programs as well as baccalaureate level for Community Health Clinical work and is a Visiting Scholar for local Colleges of Nursing. In addition, she provides oversight for the clinical practicums of counseling students and consults to department chairs for all medical/professional clinical experience rotations at the Shattuck Hospital. She has lectured at many facilities and agencies and is a recognized leader in the field of Addictions, Impaired Practice and Peer Assistance, as well as Healthcare Professional Stress. 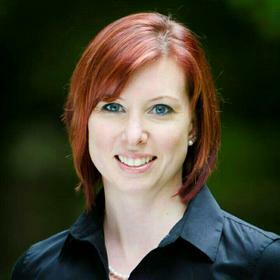 Bio: Dr. Erika Michalski has a robust history providing educational programming for healthcare professionals. She is also passionate about the future of healthcare and works to design curriculum for students working toward a variety of healthcare degrees. 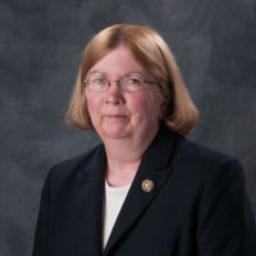 She spent a number of years at St. Louis College of Pharmacy (STLCOP) running the Department of Continuing Professional Development, developing, coordinating and facilitating Continuing Education programs on everything from changes in local and federal policy to developing hypertension protocols to elevating the student experience during rotations. During her time at STLCOP she was also a faculty member, teaching the capstone course for the Pharmacy Doctorate program. Most recently, Dr. Michalski was serving as the Associate Dean for Student and Alumni Affairs at the University of Missouri - St. Louis College of Nursing. Along with her responsibilities as the Associate Dean, Dr. Michalski served as a guest lecturer for the institution's Doctorate of Nursing Practice program. But ... the mountains called and she has recently relocated to Fort Collins, Colorado with her husband and two young daughters. She is currently working as a contract employee with a number of academic institutions around the country, developing and facilitating programming for students, administrators and faculty members alike. She is also currently engaged with a local pharmaceutical company helping them get a new Learning and Development Department up and running. Dr. Michalski earned both her Bachelors of Human Environmental Sciences and her Masters of Education at the University of Missouri's flagship institution in Columbia, Missouri. She completed her doctoral work, which included a dissertation on interprofessional education for healthcare students, at Lindenwood University in the St. Louis, Missouri area. Bio: Dr. Pawasauskas’ current focus in clinical work is on the development of pain management education strategies for interdisciplinary practice. In academics, she is presently implementing a system for electronic examinations in the college of pharmacy. She maintains a clinical consultation service in pain management at Kent Hospital, where she also precepts pharmacy students on their general medicine (required) and pain management (elective) APPE rotations. She teaches an elective course in palliative care (PHP 460), which is offered every spring semester. In addition, she is coordinator for the P3 Integrated Core, Gastrointestinal and Endocrine Disorders. She is active in local state initiatives, such as the RI Coalition to Improve End of Life Care. She is also engaging in a community outreach program to decrease the abuse of prescription drugs among middle and high school students. Bio: Dr. Kerry LaPlante’s Pharm.D. clinical practice site and research program is located at the Veterans Affairs Medical Center in Providence, R.I., and the College of Pharmacy at URI. She is nationally recognized for her work in the treatment, virulence inhibition, control and prevention of methicillin-resistant Staphylococcus aureus (MRSA) and device related infections where she has authored more than 100 peer-reviewed journal articles, abstracts and textbook chapters. Since her independent research career began in 2004 she has securing uninterrupted funding from the National Institutes of Health (NIH), Veterans Health Agency, and several investigator initiated grants from the Pharmaceutical Industry. Her research has been presented throughout Europe and the United States. Her research program has recently expanded to include an antimicrobial research outcomes component, which focuses on Antimicrobial Stewardship and Comparative Effectiveness Research using the National Veterans Affairs Database databases and statewide initiatives. Dr. LaPlante also serves the profession by membership, leadership and participation in a number of Infectious Disease organizations, and serves as the infectious diseases section editor for the journal, Pharmacotherapy. She is also an active reviewer for Antimicrobial Agents and Chemotherapy, Clinical Infectious Diseases, The Journal of Antimicrobial Chemotherapy, and Diagnostic Microbiology and Infectious Diseases. Dr. LaPlante is a member and leader of many professional societies and taskforces within pharmacy and infectious disease groups and serves as an expert consultant for several pharmaceutical and device related companies. Bio: I grew up near Buffalo, NY. and my CV shows I got my BS in Nutrition at Cornell, and a few years later, a MS in Exercise Physiology at Northeastern University. My experience in Nutrition has been in many areas - from many years of outpatient counseling, to working with critically ill patients on nutrition support. I have also worked in management and was Director of Food and Nutrition Services at RIH until I came to URI - and have been teaching here for 12 years. After I obtained my masters in exercise physiology, I worked as a fitness instructor, and did some personal training - mostly with people that were overweight and/or in cardiac rehab - b/c I have a strong interest in helping people to develop a healthier lifestyle. My career has always had the main focus in nutrition, although exercise is a big part of my lifestyle. I have run six marathons, over 30 half marathons, and have also completed five half ironmans and a few century rides. When my kids are older and I have more time to train, I hope to complete a full ironman. I always enjoyed counseling b/c I think the key is motivating people to want to change, and I like to think I set a good example by eating healthy, and making time to exercise everyday. I live in East Greenwich, RI with my husband and two children, who are 12 and 9, and also very active. My daughter is a competitive gymnast and my son plays basketball, soccer and lacrosse. 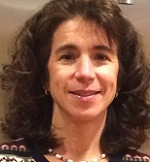 Bio: Dr. Charpentier began at URI in 1990, when she worked in elderly outreach. In 1991, she attended URI to obtain her PharmD. She returned to URI in 1999, after working in hospital practice, managed care and in oncology research. She was hired to coordinate the Non traditional PharmD practice experiences, and had the privilege of working with pharmacists throughout the state and region while they achieved their PharmD. Currently Dr. Charpentier coordinates the hematology oncology therapeutics core in the P3 spring semester. Her areas of interest include medicine, oncology, supportive and palliative care, and diabetes. Dr. Charpentier also teaches Interactive learning (IAL) in the gastrointestinal/endocrine core, coordinates and teaches the hematology/oncology IAL. 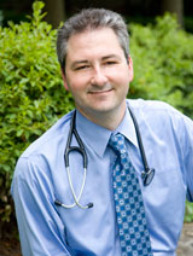 Dr Charpentier is a clinical pharmacist at Roger Williams Medical Center in Providence RI. Her advanced practice rotation is in adult internal medicine. Students round on the interdisciplinary medicine teams daily. Dr. Charpentier serves as an educator and model to students, medical staff and pharmacy staff. Dr. Charpentier is a member of the RISHP, hematology/oncology pharmacist association, ACCP, Board of Directors for GAIA Vaccine Foundation. She has volunteered at RI Free Cinic, Clinica Esperanza, and has been involved in Hospice for Hope’s programs in Romania. Bio: Dr. Martha M. Rumore is a pharmacist/attorney admitted to the NY, NJ and DC bars. She has a Pharm.D. from St. John’s University, a M.S. in Drug Information from Long Island University, a J.D. from CUNY School of Law, and an LLM in Intellectual Property from the Benjamin N. Cardozo School of Law. 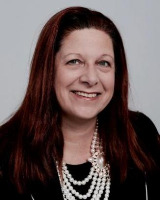 She is currently Associate Professor, Touro College of Pharmacy, Adjunct Professor, Touro College Jacob D. Fuchsberg Law Center, and Of Counsel at Sorell, Lenna & Schmidt, LLP in New York. At Touro College she teaches Pharmacy Law, Drug Information, Food, Drug & Cosmetic Law, and Pharmacy Legislative and Regulatory Affairs. Last year she received the College’s Outstanding Research Award. At the law firm she focuses on pharmaceutical and medical device intellectual property including all aspects of patent law prosecution and transactional matters. She has over 10 years of law firm experience in the area of pharmaceutical intellectual property, especially generic pharmaceuticals. She has also worked in the pharmaceutical industry and hospital pharmacy, both at the Director level. Martha is a frequent lecturer and has close to 200 publications and presentations. She is a Fellow and former Trustee of the American Pharmacists Association and in 2015 received the APhA-APPM Poster Merit Award. She is also a former member of the ASPL Board of Directors and received the 2015 Larry Simonsmeier Legal Writing Award. Most recently, she was appointed to a six year term on the ACPE Board of Directors. Bio: Monica Dorobisz is a clinical pharmacy specialist in infectious diseases at Kent Hospital in Warwick, RI. 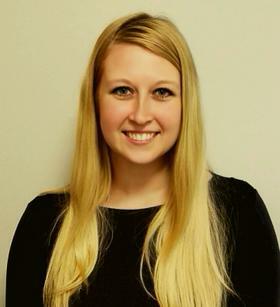 After obtaining a Doctor of Pharmacy degree from Northeastern University, she went on to complete a PGY1 Pharmacy Practice Residency at the Seton Family of Hospitals in Austin, TX and a PGY2 Infectious Diseases Pharmacy Residency at the University of Pittsburgh Medical Center in Pittsburgh, PA. Monica began her work at Kent Hospital in 2010 and started the Kent Hospital Antimicrobial Stewardship Program in 2012 which she has chaired for the past five years. Bio: Dr. Owens has been active in the field of geriatric pharmacotherapy for over 20 years. She has published extensively in the field of geriatric assessment and pharmacotherapy and is a reviewer for The Journal of the American Geriatrics Society. Dr. Owens is involved in many not-for-profits agencies in Rhode Island to support quality care for older adults including Steere House Nursing Home and Rehabilitation Center, The Seasons Assisted Living, and The PACE program for Rhode Island. She is co-investigator of the Rhode Island Geriatric Education Center and precepts students and residents on geriatric medicine rotations. She is a member of the cluster hire initiative in health and wellness: Aging of Society – Lifespan Health Focus. Dr. Owens also serves as Chair of the College Assessment Committee. Bio: Paul Larrat is Dean and Professor at The University of Rhode Island College of Pharmacy. His research and teaching efforts have focused on drug use in special populations, health policy, and health economics issues. He also currently serves as Coordinating Dean of URI’s Academic Health Collaborative. Earlier in his career, Paul served as Executive Vice President of MIM Health Plans where he was responsible for the developing the operations of this pharmacy benefit management company. He oversaw the growth of the company from $3 million in gross revenues in 1994 to over $300 million in 1997. His responsibilities there included oversight of clinical services, provider network development, manufacturer contracting, disease state management, quality assurance, provider auditing and credentialing. Paul is a past president of several not-for-profit organizations, including the Rhode Island Pharmacists Association, the Rhode Island Pharmacy Foundation and Cornerstone Adult Services. He has been a leader in organizing several more non-profits, including the RI chapter of the Alzheimer’s Association and the Mwea Fund, which assists in advancing health and education in a primary school district in Thika, Kenya. A graduate of The University of Rhode Island with a Bachelor of Science in Pharmacy in 1982, Paul received a Master of Business Administration in 1984 and Master of Science in Pharmacy Administration in 1988. Most recently he was awarded a Ph. D. in epidemiology from Brown University. In 2004, he was named a NASA Fellow and spent several months at Kennedy Space Center assisting in life sciences research projects focusing on volatile organic compound production during extended space travel. In 2010-11, he served as AAAS/AACP Congressional Health Policy Fellow in the United States Senate, engaged in developing health care and aging legislation and policy in the office of Finance Committee Chair Sen. Ron Wyden (OR-D). Paul has been married to Amey Larrat for over 30 years and has two grown children, Meghan and Eric. He is an avid outdoorsman, spending time mountaineering, white water canoeing and sailing. His favorite climbs have been Mt. Rainier in Washington and Mt. Kilimanjaro in Tanzania, and he has reached his goal of climbing the 48 high points of the continental US with his son, Eric. Bio: Dr. Rebecca Reece joined the Division of Infectious Diseases in January of 2015. She is an attending in adult infectious diseases at The Miriam Hospital, Rhode Island Hospital, and Newport Hospital. Dr. Reece obtained her medical degree from West Virginia University School of Medicine, in Morgantown WV. 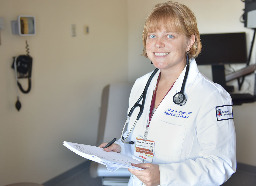 She completed her residency in Internal Medicine at West Virginia University at Ruby Memorial Hospital. She then completed her fellowship in Infectious Disease at Brown University. Following her clinical fellowship, she pursued her research interest of HIV adherence and retention to care in resource limited settings under a T32 research fellowship. Dr. Reece's clinical and research interests include tick-borne diseases, HIV adherence and retention, and health disparities. She will serve as the lead physician for the Lifespan Center of Excellence for Tick-borne Diseases at Newport Hospital. Bio: As Senior Director of Specialty Clinical Services, Rick is responsible for leading the development of patient management programs for specialty pharmacy disease states – including patient and staff education programs as well as advancing technology solutions to support both internal and external customers – with all responsibilities focusing on improving the clinical outcomes and quality of life of Walgreens Specialty Pharmacy patients. He has over twenty-five years of experience in pharmacy practice and healthcare management, working on a wide variety of projects in retail, specialty, institutional and industry pharmacy settings and is a registered pharmacist in Pennsylvania, Florida, Virginia and Illinois. Bio: Sarah Hendrick graduated from the University of New England, College of Pharmacy located in Portland, ME in 2016. She is currently a PGY1 Pharmacy Practice Resident training at Kent County Memorial Hospital in Warwick, RI. As part of her ambulatory care longitudinal rotation of her residency, Sarah is working to implement an antimicrobial stewardship program at West View Nursing and Rehabilitation. 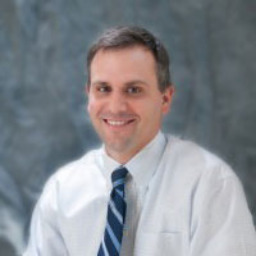 Bio: Geriatrician, formerly John Franklin Chair of Geriatrics and Director of the Glennan Center for Geriatrics and Gerontology at Eastern Virginia Medical School (1996-2007), now Associate Division Chief for Geriatrics at University Medicine. Dr. Gravenstein has a long-standing interest in immunity, inflammation and aging especially in the context of influenza and nursing home care, and the topic of the majority of his publications. He also has a specific interest in quality improvement in health care, the culture of care, and how to improve care across care transitions. He is Clinical Director at Quality Partners of Rhode Island, Medicare's Quality Improvement Organization for Rhode Island, where he works with a team to improve patient safety and care transitions. At Brown he works with the Department of Community Health (Mor, PI; Gozalo) and Pop-Vicas on evaluating the impact of influenza vaccine on outcomes in long-term care. Bio: Kerri Degenkolb, PharmD, BCPS is the PGY1 Residency Program Director and a Clinical Pharmacy Specialist at Eskenazi Health in Indianapolis, IN. A graduate of Ohio Northern University, she completed a PGY1 Residency at the Huntington VA Medical Center in Huntington, West Virginia. Bio: Dr. Norman A. Campbell, J.D., Ph.D., R.Ph. 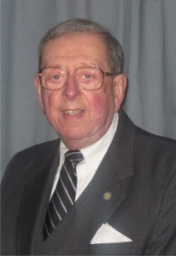 is Professor of Pharmacy Administration Emeritus and Ambassador, College of Pharmacy, University of Rhode Island, where, previously, he held the positions of Assistant to the Provost for Health Science Affairs, Chairman of the Department of Pharmacy Administration, and Associate Dean of the College of Pharmacy. A native of Pawtucket, Rl, he was graduated from the Rhode Island College of Pharmacy and Allied Sciences (now URl College of Pharmacy) in 1957 with the degree of BS in Pharmacy. Subsequently, he earned the degrees of MBA in Marketing, University of Wisconsin, 1961; JD, New England School of Law, 1968; Ph.D. in Pharmacy (Pharmacy Administration), University of Wisconsin – Madison, 1972. He is licensed to practice the professions of pharmacy and law. Dr. Campbell is active in numerous professional organizations in pharmacy, law and education, and has been elected to positions of leadership in each area. To name a few, he has served as: President, Rhode Island Pharmaceutical Association; Grand Regent, Kappa Psi Pharmaceutical Fraternity; Board of Directors, American Association of Colleges of Pharmacy; elected Judicial Board Member, American Pharmaceutical Association; National Executive Councilor and National Treasurer, Rho Chi Pharmacy Honor Society; President, American Society for Pharmacy Law. He was Editor of the Rhode Island Pharmacist, bi-monthly journal of the Rhode Island Pharmaceutical Association for four years. He is the founding President of the Kappa Psi Pharmaceutical Foundation, Inc., serving from 1992-2004. He is a fellow of the American Foundation for Pharmaceutical Education and holder of the 1969- 70 Pharmaceutical Manufacturers Association A ward. He has been awarded recognition by selection as a biographee in: Who’s Who in Rhode Island, Who’s Who in America, Who’s Who in the World, Dictionary of International Biography, and Who’s Who in American Education, as well as being the recipient of the A.H. Robins Bowl of Hygeia Award in 1977, the American Society of Hospital Pharmacists Research and Education Foundation Award for Achievement in 1978, the American Society for Pharmacy Law President’s Award in 1994, the Rhode Island Pharmaceutical Association Pharmacist of the Year Award in 1979, and its Pharmacy Service Award in 1994. In 1995, he was recipient of a Citation of Merit by the University of Wisconsin-Madison. He is a member of Phi Lambda Sigma Pharmacy Leadership Society, Phi Alpha Delta Law Fraternity International, and Phi Kappa Phi Honor Society. He was elected to honorary membership in the Golden Key National Honor Society in 1998, was named a Fellow of the American Pharmaceutical Association in 1999, and was the 2001 recipient of the A. Richard Bliss, Jr. Citation of Appreciation Award, Kappa Psi’s highest recognition. In 2003, the URI College of Pharmacy presented him the first Dr. Norman A. Campbell Award for Ethics & Excellence in Healthcare. He is the author of more than 100 publications in professional and education journals, as well as more than 30 abstracts and four book chapters. Dr. Campbell has held a number of civic and public elected and appointed posts. To name a few, he has been Clerk, Town of Narragansett, Rl, School Committee, and Chairman, Town of Narragansett Recreation Advisory Board. He served as a Member, State of Rhode Island Board of Approval and Certification of Physician Assistant Programs. He is a member of South County Hospital Corporation, Wakefield, RI, and is Past Chairman of the Board of Directors of VNS Home Health Services, Narragansett, Rl. He was designated a Knight of the Rockingham Arch in 1979 by the Narragansett Town Council in recognition of community service. The International Association of Lions Clubs presented him the 100% President Award in 1981. He was the Recipient of the Raymond E. Trainor, Jr. Memorial Community Achievement Award by the Narragansett Lions Club in 1988. In 1997 he was named a Melvin Jones Fellow by the Lions Clubs International Foundation for dedicated humanitarian service. Dr. Campbell and his wife are the parents of two daughters who have graduated from the University of Rhode Island, one in fashion merchandising and the other in pharmacy. Their son is a graduate of the Massachusetts Maritime Academy. They have five granddaughters.